The Sun now exerts its maximum power upon the Earth's northern hemisphere as its rays strike us head-on. The time of full outward physical manifestation dominates. The powers of inner contemplation are at their lowest point, and everywhere are the energies of doing, of exerting the will. 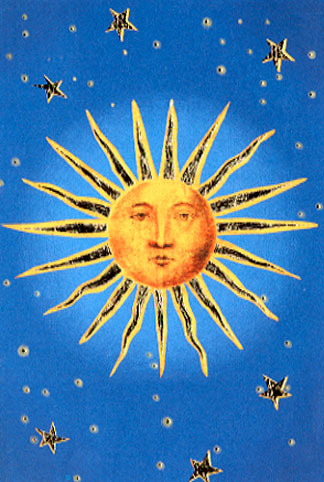 The Sun moves from Gemini into Cancer, signaling the point of Solstice, of maximum solar energy for this year. This was the ancient time of celebration, of outward joy in the fullness of life, the richness of our worldly blessings. It is just as true for us today. As we experience the warm, full power of the Solstice Sun, we are called to make true on earth the words of the Master Jesus, "I and the Father are One." To understand this is to recognize the divinity in everyone we meet. Use this day to see God in each face that you greet. the realm of our Earth's planetary rhythms. Enjoy!